B-I-N®, developed in 1946, is the original shellac-based white-pigmented primer-sealer stain-killer. 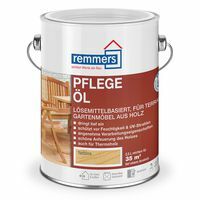 Great for use on all interior surfaces & spot priming on exterior surfaces. 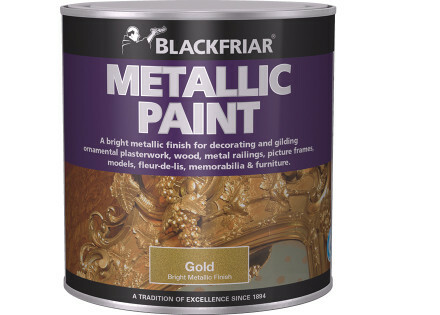 It is formulated to seal, prime and block out stains on previously painted or new work. Any oil or latex paint can be applied over it. Professionals love B-I-N because it dries faster than any other primer. 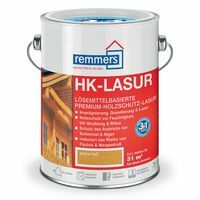 It cures as fast as it dries, making it ideal for kitchen cabinet repainting, doors, and trim work. Fire damage restoration painters love B-I-N because it seals in the acrid smell of fire, as well as sealing in water, soot, and grease stains that plague such jobs. As a stain sealer, B-I-N is unsurpassed. Water stains, mildew stains, knots in new wood, nicotine, gasoline, marking pens, etc. 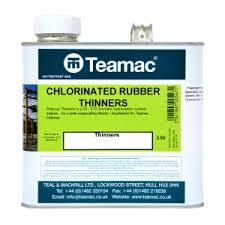 can all be reliably sealed with B-I-N.
B-I-N seals surface pores so you use less finish paint. 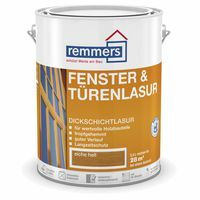 Finish coat has rich uniform appearance, with no "high" and "low" spots. Finish resists dirt better and has better scrubbability. 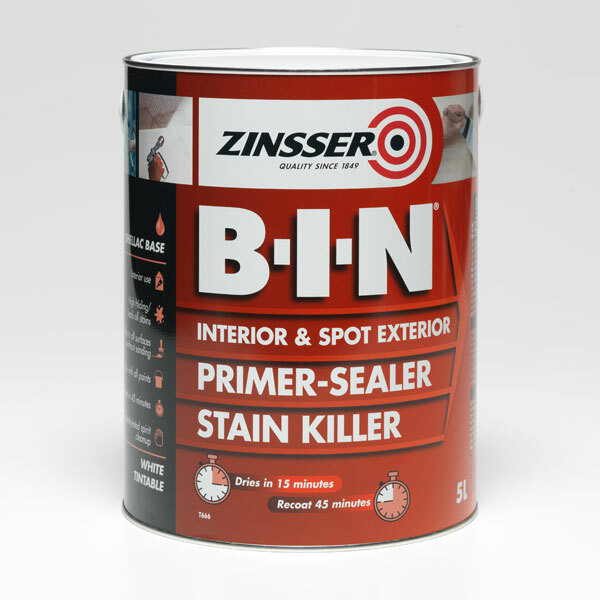 One coat of B-I-N kills - that is, covers and locks in even the worst stains that bleed through multiple coats of paint. With B-I-N, there is no bleed-through into the top coat to ruin the job. B-I-N adheres tenaciously to all dense, smooth and slick surfaces such as: dense hardboard, chipboard, glass, Formica® , ceramic tile, PVC & metal pipes, radiators, grillwork, fire doors, and galvanized ductwork. No sanding or etching or deglossing agents are needed to get a firm bond. B-I-N provides an "anchor" for the top coat so it can't be chipped or scraped off easily. Whatever horrible paint or wallcovering may have been used before, you can make a new start with B-I-N. One coat will transform the grimmest, darkest colors into a flat white ready for new finish paint or wallcovering.